I met Laura Lee Nutt through our mutual critique partner, Jessi Gage. Laura writes painstakingly researched historical fantasy romance. Her debut novel RED AND THE WOLF, recently published by Lyrical, features a fractured fairy tale version of Little Red Riding Hood involving werewolves. I invited Laura to visit my blog for an interview about her writing. Please welcome her. Amy, thanks so much for having me. I’ve been a big fan of your blog for some time now, and it’s an honor to be on it. Q: Tell us a little about RED AND THE WOLF. 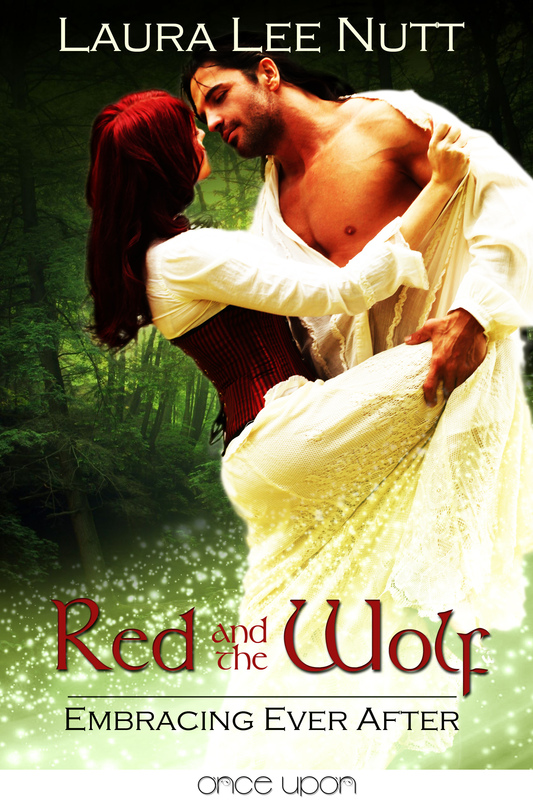 RED AND THE WOLF is a fantasy romance about what might have happened had Little Red Riding Hood not really lived happily every after. What if she responded more realistically to the events of her childhood? What if, rather than bouncing immediately back from the wolf attack, she instead struggled with severe phobias? How might she find a true happy ending then? This tale begins when Blanchette, Little Red Riding Hood, is grown and her grandmother, the one stable point of her life, falls dangerously ill. Pair this with a string of murders by what looks like a werewolf, and a man come to town to destroy all dangerous elements of fairy tales, and she can no longer hide from the world. Fortunately for Blanchette, Heinrich, her huntsman rescuer, will stop at nothing to help her if only, just once, she can truly trust him. To save his life and her own, she must face and conquer her fears and, perhaps along the way, find true happiness after all. I consumed fairy tales like candy as a child. Even as an adult, I still have several collections from Irish folklore to Grimm’s and Andersen. They hold a special place amidst my book treasure. However, once grown, I always wondered what happened after the “The End” or “They lived happily ever after.” I constructed possible story lines in my mind to fill gaps in the tales. As to what exactly truly inspired me to choose Little Red Riding Hood when I did, I cannot honestly recall, but it was certainly something that naturally came from years of reading and fantasizing about those old tales. Pairing Red with a werewolf was a natural fit for paranormal romance. In fact, in some of the old stories, the wolf is described as a werewolf. Q: What sort of research did you do for RED AND THE WOLF? I love research and learning new things when I write stories. For RED AND THE WOLF, I began by researching different versions of the fairy tale so I could combine elements into a version that suited the story I had in mind. I also did a lot of research into wolves, especially courtship and mating behavior. In RED AND THE WOLF, there are scenes from human and wolf perspective, and I wanted to give those wolf scenes as realistic a slant as I could. Additionally, I needed another villain, so I combed through monsters found in German folklore and came upon the nix, a sort of freshwater merman. He and Heinrich the huntsman-werewolf have a rivalry that spills over into a string of murders in RED AND THE WOLF. He was a fun villain to write. Q: Which character did you enjoy writing the most, and why? My favorite character to write was Herr Karl Kaismann. He so endeared himself to me because he was entirely my own invention. He is an imperial agent of the Holy Roman Empire who comes to the village in search of dangerous elements that inspired fairy tales. His commission demands that he destroy them, even if they are good, honorable protectors of the people. He is a tragic character torn between doing what is right and following orders, between good and evil, and because he falls hard and fast for Blanchette, aching to shelter her from all that frightens and threatens her, which is just about everything. I love writing complex, tormented characters. Q: What kind of writer are you? Plotter or pantser? What does your typical writing day look like? I’m on the pantser end, but I have some plotter in me. My writing day usually involves sitting down with the laptop once the kids are off to school and diving into whatever I have to work on for the week. Each week, I have goals that often cover two or, occasionally, three projects. However, I far prefer the creative energy of first drafts to editing, so I usually always have to resist the temptation to wander when I need to focus on edits. Once the kids are in bed, if my husband has things he is working on, I head back to the laptop for more work. I am one who writes pretty much every day and believes that hard work is one of the biggest requirements for success. Q: What genres do you prefer to read? Any types of books you think authors should write more of? I love anything with fantasy elements: plain and simple fantasy, some science fiction, paranormal romance, urban fantasy. I do also enjoy plain romance too, particularly historical. One sub-genre I explore as a writer and would like to see other writers explore more is fantasy, especially with romantic elements, set in historical periods. RED AND THE WOLF, for example, is set in the real world. In a way, it is historical urban fantasy romance. 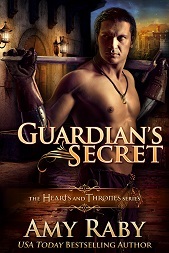 My publisher, Lyrical Press, Inc., calls it simply fantasy romance. I have many other stories in mind for this cross-section of fantasy, romance, and history. I hope there are other authors who pioneer the way with me. Q: What’s next for you after RED AND THE WOLF? First of all, I’m finishing work on the sequel to RED AND THE WOLF. It’s called GRETEL AND HER GHOST, and you guessed it, it’s about what happens after the Hansel and Gretel story. Now grown, Gretel is determined to marry and have a normal life, but nearly getting eaten as a child still haunts her and her brother. Hansel is determined not to lose is little sister and does everything he can to keep her, including driving away all her suitors. When a mysterious man comes to the village begging Gretel’s aid in rescuing more children, she has to make the most difficult decisions of her life, but ones that might ultimately set her free and satisfy her desire for a loving husband. I should finish edits on this one this month and have it off to Piper Denna, my editor, immediately after that. Additionally, I so loved writing Karl Kaismann from RED AND THE WOLF, that I’ve given him his own story. It has all those elements I mentioned I would like to see more of, the combination of history, fantasy, and romance. In this novel, I drew upon the haunting legends of the Lorelei Rock on the Rhine River in Germany about a beautiful maiden deprived of her true love and a nixie, a sort of nymph-like creature, who causes ships to crash beneath the rock’s deadly foot. Karl naturally gets caught up in the legend and must save a town that despises him, choose between his heart’s desire and the lives of thousands, and come to terms with his destiny. Once I finish edits on this one, probably in June, it too will get shipped off in queries. Then I get to go back to the fun first drafts. Next up is an epic fantasy currently titled AT THE END OF INNOCENCE and a novella for an anthology of time travel romance that I’m involved in currently titled IN TIME FOR LOVE. For that one, I get to research the tribes of ancient Germany. My hero, Carloman, will be of the Harii, a tribe that people think inspired the myths of The Wild Hunt and the einherjar, the greatest warriors the Valkyries take to Valhalla. You can find RED AND THE WOLF at Amazon Kindle, Barnes and Noble Nook, and iTunes. You can find Laura on Twitter, Facebook, GoodReads, her blog, or her website. Thanks for stopping by. 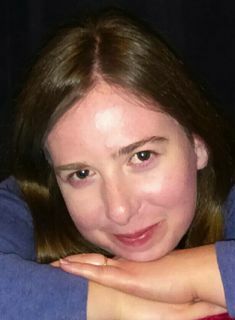 This entry was posted in Books, Fantasy and tagged author, interview, laura lee nutt. Bookmark the permalink. Thanks for having me on today, Amy! Great interview, ladies. Love the works in progress, Laura. Can’t wait to see them in print!